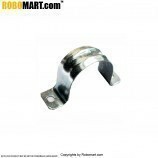 This is a stepper motor clamp used in different robotics applications. 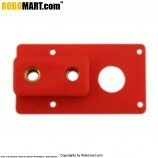 Motor mounting side - Height 43 mm, width 39 mm. 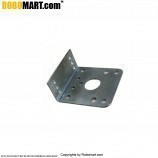 Bracket mounting side - Height 21 mm, width 39 mm. 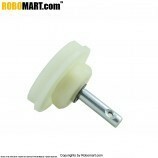 Hole for Motor mounting: 1- 14mm diameter. Holes for chassis mounting: 3 - 3mm diameter each. 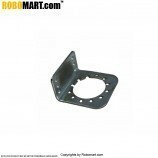 6 standard size mounting holes for Chassis give enough strength to the joint. 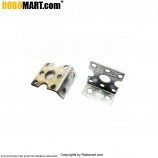 This stepper motor clamp is used in various robotics projects. 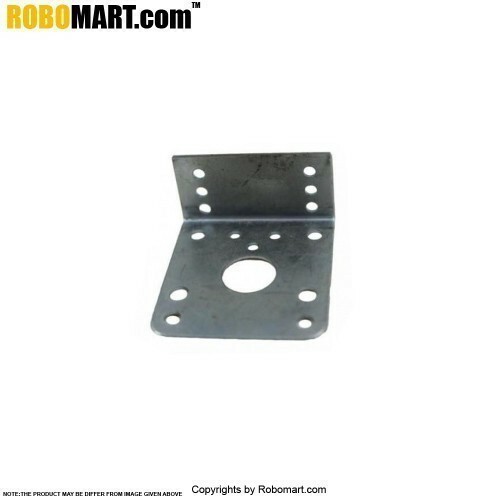 Also Searched as : Stepper motor mount, clamp for stepper motor, Stepper motor clamp online in india, Buy stepper motor clamp, Robotic stepper motor clamp, Robotic stepper motor clamp wheel, Stepper motor clamp online in India.